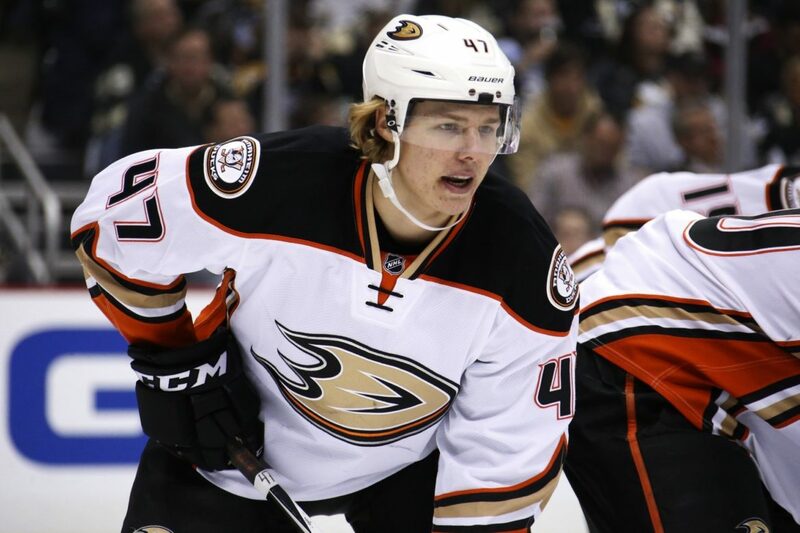 The Anaheim Ducks have signed restricted free agent Hampus Lindholm to a six-year, $31.5 million extension. Lindholm, 22, missed training camp and the Ducks’ first eight games of the season in the holdout but will re-join his team in the coming days. 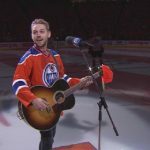 He was selected by Team Sweden in the World Cup of Hockey but did not compete in any games, so it could take him a little while to get back into game shape. According to hockey insider Bob McKenzie, Lindholm’s average annual value will be $5.69 million this year and around $5.16 for the remaining five years of the deal. Late RFA signings are calculated differently when players miss part of the regular season. As I've been talking about for the past week, late RFA signings where reg season days are missed get calculated in a different fashion. This is an excellent deal for the Ducks. 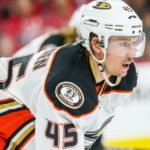 Though it has taken longer than expected to reach an agreement (Lindholm was not eligible for arbitration), the Ducks have Lindholm locked up to a contract comparable to someone like recently-signed Buffalo defenseman Rasmus Ristolainen, who is not nearly as talented or well-rounded as Lindholm. Lindholm salary breakdown: $3M (2016-17), $6M (2017-18), $6.75M (2018-19), $5.25M (2019-20), $3.75M (2020-21), $6.75M (2021-22). 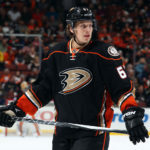 Lindholm, selected sixth overall in the 2012 NHL Entry Draft, scored 10 goals and 28 points, 15 of which came on the power-play, in 80 games last year. He added three assists in the Ducks’ seven-game series loss to the Predators; he was a plus-six in that series. In addition, he led the team in blocked shots (115) last season. Plus, since his debut in the 2013-2014 season, Lindholm’s collective plus-61 rating ranks third among all NHL defensemen. Lindholm has 23 goals and 92 points in 236 career regular-season games, as well as two goals and 15 points in 34 career postseason games, all with Anaheim. This deal is likely to re-stir the pot regarding trade rumors surrounding Ducks defenseman Cam Fowler, especially with the expansion draft looming. Rumors were rampant in the offseason, with many teams around the league expressing strong interest in the 24-year-old blueliner. Since the Ducks are now relatively cap-straddled, it seems inevitable that Ducks general manager Bob Murray will be forced to move someone. Simon Despres is on long-term injured reserve with a concussion, but the team will be in cap trouble when he comes back. Fowler is the most likely trade candidate, with teams like the Boston Bruins, Detroit Red Wings, New York Rangers and Montreal Canadiens having already expressed massive interest. Winnipeg Jets defenseman Jacob Trouba remains the only RFA holdout. Anaheim is 3-3-2 through eight games. The Ducks take on the Columbus Blue Jackets Friday night. The Anaheim Ducks and holdout defenseman Hampus Lindholm finally reached an agreement, as Lindholm signed a six-year, $31.5 million extension. The stalemate between Ducks management and Lindholm lasted through the end of training camp and two weeks into the 2016-2017 regular season, with Lindholm missing eight games. Considering the financial terms of the deal, it is very surprising there was a holdout at all. The Ducks get their best two-way defenseman at an extremely fair value with term. There were rumors that Lindholm’s asking price was $7 million, so to get a deal like this is an absolute steal. Lindholm is just 22 years old and has already enjoyed tremendous success at the NHL level. Averaging over 30 points a year over his first three seasons, the Swedish defenseman has become a key piece of the Ducks’ defense corps. Through eight games this season, it’s clear the Ducks have missed Lindholm’s steadying influence on the back end. Having Lindholm back in the lineup playing his 22 minutes a night will help not only Lindholm’s teammates but also the Ducks’ overall system in general. 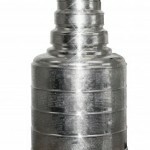 Although this contract is brilliant for the franchise, it does not leave management without headaches. Once forward Nate Thompson and defenseman Simon Despres return from LTIR, Anaheim will be $1.4 million over the salary cap. As a result, difficult decisions are on the way. But at the end of the day, having Lindholm back in the fold makes Anaheim a better hockey club. If the team needs to make a move, it will be well worth it considering what Lindholm brings to the table.